Are You Still In Shape? Do you still want to get back in shape? Having an active lifestyle is probably more important these days than it has ever really been. In this fast-paced world of hectic schedules and tempting but fattening foods, we don’t always have the discipline and mental strength to keep our bodies fueled with only the healthiest choices and put through the proper paces, which leads to the many health issues that we face these days. Keeping the body active by engaging in a routine just requires a bit of discipline and, for those who can manage it, an investment in our well-being. But all that can go out the window when we get injured, or so it seems. Knee, ankle, and other joint injuries take us literally out of the running. Back pains can slow us down a lot, as they can act up when we least expect it. Depending on how severe the injury is, the loss of mobility can get relatively disheartening and can result in an accompanying loss of motivation as well. That is, in some cases — and, as this video suggests, there are ways to avoid yours being one of them. First of all, verify your condition with the help of your doctor. Your physician may be able to help you assess the level of your injury, which might not interfere with your active lifestyle to quite the degree of finality you once thought. Or, your doctor may be able to recommend a good physical therapist to help you work around the injury. Your spine should be kept long. This will promote proper posture, which has many other benefits in maintaining proper form. Keep your shoulders relaxed when possible, unless flexing them is explicitly part of the exercise. Tense shoulders are tight and won’t work well for you. For full-body exercises or lower-body exercises, move from the hips. Avoid much lower-back involvement. Don’t feel guilty or embarrassed about having to take the intensity down a notch when you come back to the exercise routine. Pick an exercise that isn’t as demanding or challenging as your usual — your doctor may even recommend a very slow burn with some really light stuff to start with, which is perfectly fine — or select ones that have more limited weight or motion involved. Doing too much too soon is always a bad idea when coming back from injury, and the old normal might just be too much. Over time you’ll be able to scale back to what you used to do. On that note, listen to your body. Feel out what range of motion is pain-free for you, and stick to that for the time being. Change exercises to a different one that targets the same areas but doesn’t cause pain. If it’s a weights exercise, decrease the amount of weight used. This is another reason to involve your doctor in the planning or work with a personal trainer. Your knowledge alone of exercise design might not be enough to help you make appropriate adjustments, so be open to getting some help and insight. Don’t forget to wear SocksLane compression socks when you exercise. This is essential to minimize re-injury and get you back in shape. Proper compression during exercise keeps muscles less prone to injury. Ultimately, active recovery is generally a must. It’s certainly better than just giving in and letting yourself get sidelined entirely by the injury. Don’t forget, though, to make sure it’s a process that can work for you by considering your needs and your current limitations. Work with your physician and/or personal trainer or therapist, to avoid making matters worse or more complicated by causing more injury. How else can you support your own efforts to come back from injury? An active lifestyle is best paired with some self-care. You can give your muscles an occasional massage with a foam roller, which is excellent for deep tissue massage around the injured area. Or you can splurge once in a while for a professional massage, although it’s okay to keep that to special occasions as the roller’s deep-tissue work does the job. Stay hydrated, make sure to support your recovery by eating well, and stretch periodically to make sure your muscles are keeping supple and limber, whether for exercise needs or merely going about your lifestyle — which you can be making more and more active as you go. Imagine not being able to walk. Now, imagine more specifically that you’re not able to walk because your foot joints feel like they’re on fire. And filled with broken glass. If that seems a bit too intense, then you may not have ever had gout. For some of us, unfortunately, this experience is sadly all too familiar. Many people suffer from gout — it’s one of the most frequently recorded illnesses — which impairs mobility because of how it limits the movement of the joints in our feet. Sadly, for many people, the pain can be too intense to grit their teeth against and to bear, but that doesn’t have to be the case for everyone. Caused by a buildup of uric acid in the joints, gout is essentially a form of arthritis, with symptoms you’d expect. Some people’s bodies don’t handle uric acid properly,– Uric acid is a byproduct of the body digesting purines from the food we consume, and it isn’t always easy to avoid having it in the body anyway. Excess uric acid can crystallize causing painful arthritis, kidney stones, kidney failure — and gout. Most people experience pain in the joint at the base of their big toe, but the joint pain can be felt in a variety of places such as the knees, ankles, wrists, elbows, and even fingers. The pain can be quite intense, to the point of even slight movement causing severe pain. While gout pain tends to pass even without medication, it can take anywhere from hours to days. Attacks have also been known to last weeks, and people who have gout may experience repeated attacks over the years. If you’re reading this, you may already have had gout, some risk factors include obesity, alcohol intake, abnormal kidney function, and high blood pressure. Diets heavy in foods that contain uric acid may also contribute to the higher likelihood of getting gout. One crucial step that can help stave off gout is hydration. Keeping your water intake up is likely to help prevent acute attacks and kidney stone formation. Don’t try to hydrate with alcohol though, as it is a diuretic that will lead to dehydration; alcohol will also slow down the excretion of uric acid, which will only lead to it gathering and eventually forming crystals in the joints. Reviewing your diet will also contribute to lowering your risk of gout, as avoiding food with lots of purine chemicals will help reduce the uric acid your body develops. Purine-rich foods include shellfish, as well as organ meats like liver and brains. Generally, research has found seafood and meat to raise the likelihood of gout attacks, while increased consumption of dairy products has the opposite effect. Overall, losing weight contributes to lowering the probability of gout as well. There are medical treatments available for gout such as anti-inflammatories, corticosteroids, and colchicine that should be taken only under medical supervision after consulting one’s physician. Uric acid levels in the blood can also be lowered medically reducing the likelihood of it settling and forming deposits in the joints, kidneys, and tissues. However, should you be interested in natural treatment, it’s hard to go wrong with celery. Some might say celery is perfect for fighting gout, which is an easy thing to say given that history is firmly on its side. Celery has been used as a gout treatment for thousands of years because of its potent anti-inflammatory effects, and its powerful diuretic nature makes the body expel uric acid through urine more often. Its chemical makeup also helps manage uric acid, and its alkaline properties help reduce the buildup of uric acid. Celery contains 3nB, or 3-n-butylphthalide, a compound that acts as a xanthine oxidase inhibitor that helps improve blood circulation. This helps our bodies process and eliminate uric acid through the kidneys, which prevents uric acid from being in the body long enough to build up and cause gout. There are many phytonutrients in celery as well, and these include the COX-2 inhibitor apigenin and the flavonoid luteolin. Enough of the scientific stuff. Here are 3 CELERY RECIPES which can make you it easy for you to take celery. A juice made of celery and some citrus will be sure to refresh the body and help prevent gout as well. Blend the following ingredients to form a sweet green juice that packs flavor and health benefits. Peel and cut the cucumber and celery into chunks small enough to fit the blender. Measure out the juice and ginger (7 ounces of ginger, to be sure). Add the solids into the blender and liquefy, then mix in the water and lemon juice. You can add ice to this drink. This will help promote digestion if you take it just after breakfast. Make the juice in stages. First, juice the kale, sweet potato, and ginger together. Then, juice the celery and lemon, and finally, add the cucumber and apple. Because of the advancement in medical technology people have been so accustomed to prescription medicine almost thinking that these medicines are the go-to meds for sickness. People have forgotten that there are natural medicines that are actually powerful, safe, cheap and effective. One of which are herbal antibiotics. What are antibiotics in the first place? WebMD defines antibiotics as “medicines that help stop infections caused by bacteria. They do this by killing the bacteria or by keeping them from copying themselves or reproducing.” These medicines help stop infection caused by bacteria. When you say antibiotic, you literally mean, “against life”. Drugs that kill germs inside the body are technically antibiotics. Before it’s discovery, many people died even from minor bacterial infection. Do you believe, even from a sore throat! But during the 1940s, antibiotics were made available. Of course, there is no perfect drug, there are side effects. What are the side effects of taking prescription antibiotics? If you notice, the side effects listed above all boil down to compromised stomach function. If not taken properly, the side effects mentioned above can be felt. But, did you know that herbal antibiotics are found in your kitchen? Yes! That’s correct, they are found in your kitchen! So before opening that medicine cabinet again, take time to go to your kitchen and take herbal antibiotics because although prescription meds are effective, there are side effects of prescription antibiotics. Garlic is good on chicken. It is great on fried rice! AND it is also great as an antibiotic. It has actually been used all over the world as an antibiotic for thousands of years. It has many medicinal properties. It is not just a good antibiotic but also a strong antiviral, antifungal and antimicrobial herb. What’s good about garlic as an antibiotic is that it is great with a meal and it doesn’t leave harmful side effects like prescription antibiotics. (Although consuming too much of it can leave you with “garlic breath”). If you notice above, prescription antibiotics practically cause an upset stomach, garlic is actually good for your stomach. Here’s an easy to make HONEY GARLIC CHICKEN that is such a delight. To know more about this recipe, click here. Ginger’s antibiotic effect is, particularly against food poisoning. It is a good treatment for indigestion and other stomach ailments. Aside from tummy ailments, it is a great anti-inflammatory herb as well. If you have swollen feet or tired legs, ginger can help. How to take ginger for anti-inflammation? You just add a few tablespoons of grated ginger to your diet or stir-fry it. If you want to take it as a tea, you can grate two teaspoons of ginger and simmer it in a hot pot for five minutes. This is not just good as an anti-inflammatory herb but the smell of ginger tea itself is very relaxing and soothing. Ginger is also great for people who have arthritis. Here’s a quick 1-minute video on how to make a yummy ginger tea for the tummy. Added tip: If you have a tired calf or inflamed ankles, it is best to wear cotton compression socks while you rest your foot. It helps promote proper blood circulation which in turn lessens inflammation. To know more about compression for ankles, click here. Cayenne pepper is almost available in every kitchen in America. (Or at least for those who like spicy food.) Some benefits of this herb include improvement of blood circulation and is a great stimulant for bowel movement. It is one of the key anti-inflammatory foods that are always available in the market. It also helps with weight loss. For those who like it hot, here’s a BLACKENED SALMON FILLET from Allrecipes that’s good for you. These herbs are more effective than you think. They are not just great as an antibiotic but at the same time, they are yummy for the tummy. You will enjoy taking them rather than taking a pill. Natural remedies like the ones above have been time-tested. All you need to do try them out. So, the next time you look for that antibiotic, go to the kitchen and not the medicine cabinet. Is your stress level in the workplace so high that you think you could fall on the floor one day because of too much exhaustion? 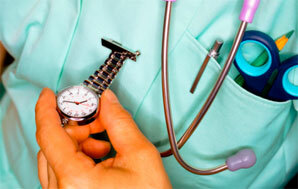 As a nurse, you have to deal with stress every day, especially if you are assigned to the emergency room. But you know what, it might be a surprising connection to some, but nurses need to be like Navy Seals. 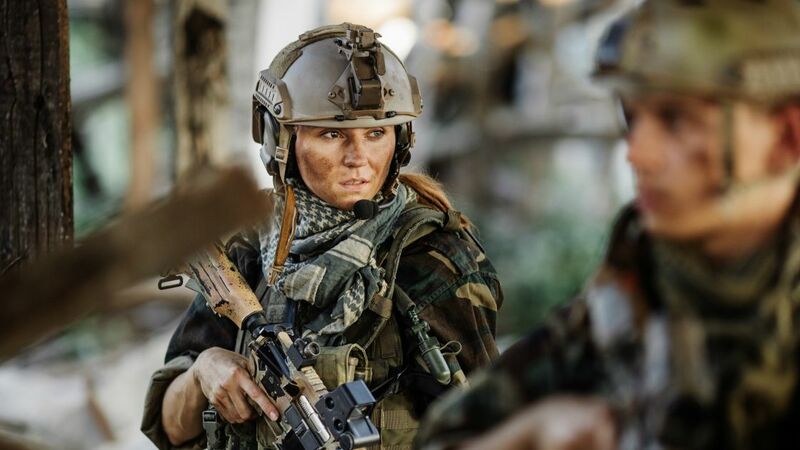 As a nurse, you can actually learn at least 6 secrets from Navy Seals so that you can lessen your stress levels at work. Yes! You read that right. Navy Seals can teach you how to handle stress. What Does a Navy SEAL Know about Handling Stress? Well, the question should be, what does a navy seal DON’T know about handling stress? There is a common misconception that Navy SEALs are super athletes. They need not be super athletes. What they need to be is mentally ready to handle stress and not break down! Aha! So, they really can handle stress! The secret then lies not in their physical toughness but their mental capacity. If you think that your life as a nurse is full of stress, think again. Navy SEALs live and breath stress. It makes them tough. Yes, they are tough. Maybe the toughest in the world. So, you as a desk worker, a nurse or any other civilian could learn a few things about handling stress from them. Imagine a code blue and a code white in the middle of the night during your shift in the ER. How will you deal with this effectively with less stress? 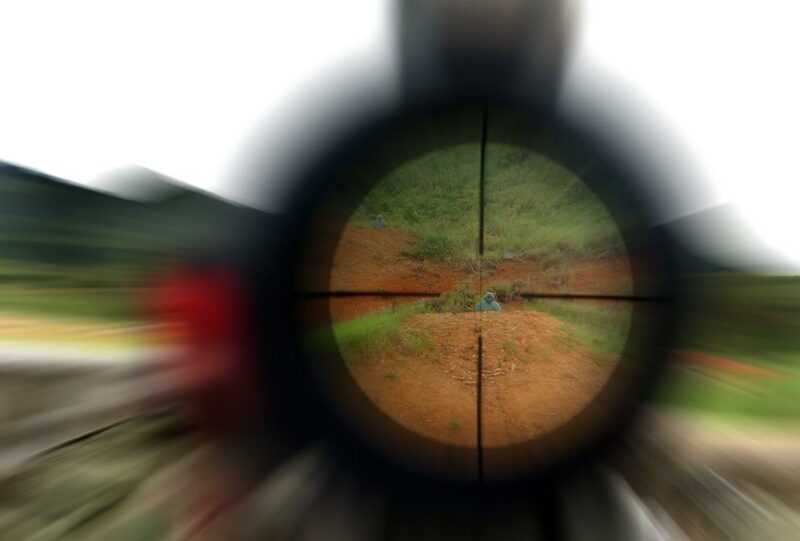 A Navy SEAL will handle with focus! When Navy tries to focus, they stay calm, take deep breaths and focus on a particular task at hand. Don’t step on a landmine or you will blow up! 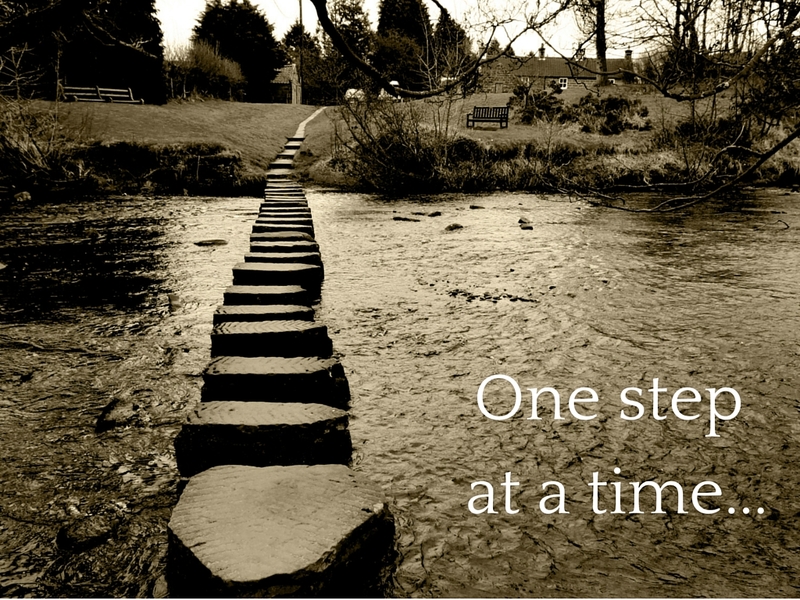 Take one step at a time! When you are faced with a problem as big as an elephant, solve it one chunk at a time, the ear first, then the tail, one foot. Well, you get the point! Visualize the goal and focus. Then solve the problem little by little. I tell you, although this might sound cliche, it really works. Navy SEALs do it and it gets things done. Why not do the same. SEALs have what they call a 4 x 4 x 4 breathing technique. They claim that this is an effective way to handle high stress. How to do it? Here is a quick video on how you should properly do it. If some of you find this technique familiar, you are correct, this is also what yogis teach. This breathing exercise switches your stress hormones and relaxes your body, preparing it to focus. This means that you should “reframe” your view of a particular situation. You can refocus and turn an adverse event into a positive one. When a Navy SEAL goes into battle, they are prepared. They are always prepared! They have the right gear and are appropriately dressed for the occasion. As a nurse, you do a lot of standing up, moving and running around or even sitting for long hours. To lessen your stress levels, wear a good pair of comfortable cotton compression socks that will help reduce fatigue, swelling and boost your blood circulation in your feet and calves. To know more about the best cotton compression socks for nurses, check out these. Small victories are the best victories! Think about it, small victories when added together win the battle! 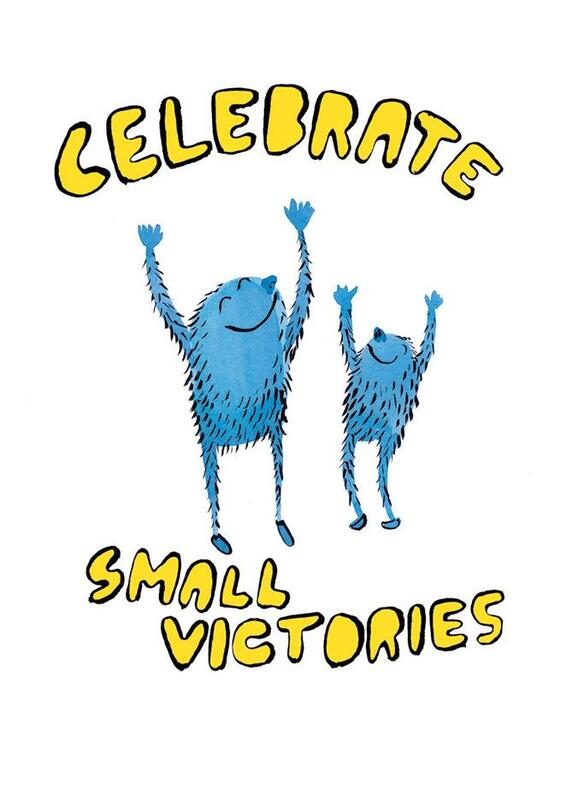 So, put a smile on your face and drop the stress celebrating your small victories. What about you? What are your secrets in making a stressful day seem like a breeze? You may want to share them in the comments below for everyone to learn from as well.